Michael Wolff’s new book, Fire and Fury: Inside the Trump White House, has been making headlines and causing waves in Washington and around the world. Based on over 200 interviews with the President and prominent figures inside and outside the administration, the Trump tell-all includes dish about the Trump White House’s key players. That includes Trump’s daughter Ivanka Trump and her husband Jared Kushner, two of the most polarizing (and complicit) figures in the administration. 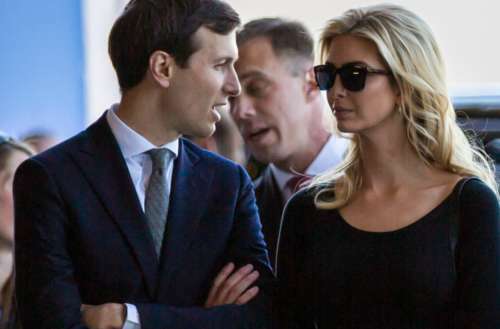 The book details a deal they made when they came to Washington to serve in the White House that the first daughter would become the first female president if the opportunity arose. The First Children couple were having to navigate Trump’s volatile nature just like everyone else in the White House. And they were willing to do it for the same reason as everyone else — in the hope that Trump’s unexpected victory would catapult them into a heretofore unimagined big time. 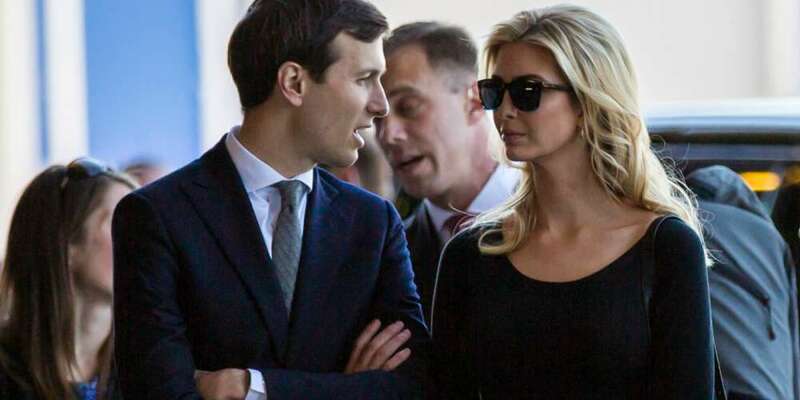 Balancing risk against reward, both Jared and Ivanka decided to accept roles in the West Wing over the advice of almost everyone they knew. It was a joint decision by the couple, and, in some sense, a joint job. For Ivanka, it was all business — building the Trump brand, the presidential campaign, and now the White House. She treated her father with a degree of detachment, even irony, going so far as to make fun of his comb-over to others. She often described the mechanics behind it to friends: an absolutely clean pate — a contained island after scalp-reduction ­surgery — surrounded by a furry circle of hair around the sides and front, from which all ends are drawn up to meet in the center and then swept back and secured by a stiffening spray. The color, she would point out to comical effect, was from a product called Just for Men — the longer it was left on, the darker it got. Impatience resulted in Trump’s orange-blond hair color. The White House denies the accounts in Wolff’s Trump tell-all. White House press secretary Sarah Sanders addressed the book during news briefing earlier this week. “This book is filled with false and misleading accounts from individuals who have no access or influence with the White House. Participating in a book that can only be described as trashy tabloid fiction exposes their sad desperate attempts at relevancy,” Sanders said.